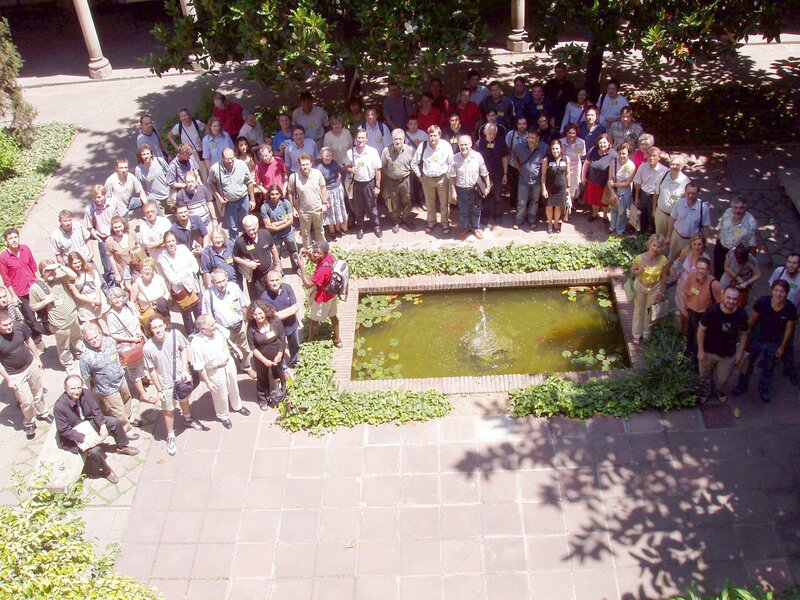 This meeting shares the goals of the Tbilisi conference with the same title, held in July 2003, as well as those of the Patras conference on many-valued logics and residuated structures, held in June 2004. In recent years the interest in non-classical logics has been growing. Motivations from computer science, natural language reasoning and linguistics have played a significant role in this development. The semantic study of non-classical logics is a field where no single overarching paradigm has been established, and where a variety of techniques are currently being explored. An important goal of this meeting is to promote the cross-fertilization between the fundamental ideas connected with these approaches. Thus, we aim to bring together researchers from various fields of non-classical logics and applications, as well as from lattice theory, universal algebra, category theory and general topology, in order to foster collaboration and further research. With the collaboration of IMUB (Institute of Mathematics, University of Barcelona) and IIIA (Artificial Intelligence Research Institute, CSIC). The Programme Committee, under the coordination of Yde Venema, selected 87 out of the 112 talks submitted for presentation at the meeting. The submission of contributed papers was made through the Atlas site . In the end 80 talks were presented at the meeting, organized in three parallel sessions. Talks did last 20-25 minutes, to allow for discussion, room-shuffling and equipment preparation. All lecture rooms had a blackboard, an overhead projector, a beamer, and a Windows-equipped computer with Acrobat Reader and PowerPoint installed, USB port and CD reader. Speakers could also plug in their own computers; however, in order to save time and avoid potential problems, we strongly advised all speakers using computer and beamer to bring their presentation in an USB flash memory device or a CD-ROM; running it from the room's computer helped to avoid potential problems. Some presentations in Word using nonstandard fonts had display problems. Abstracts of talks: Upon registration, participants received a booklet containing abstracts of all contributed talks, as well as of the invited lectures. You can download the corresponding PDF file (680 KB). The meeting took place at the Facultat de Matemàtiques of the Universitat de Barcelona, a 19th century building located in the city centre. 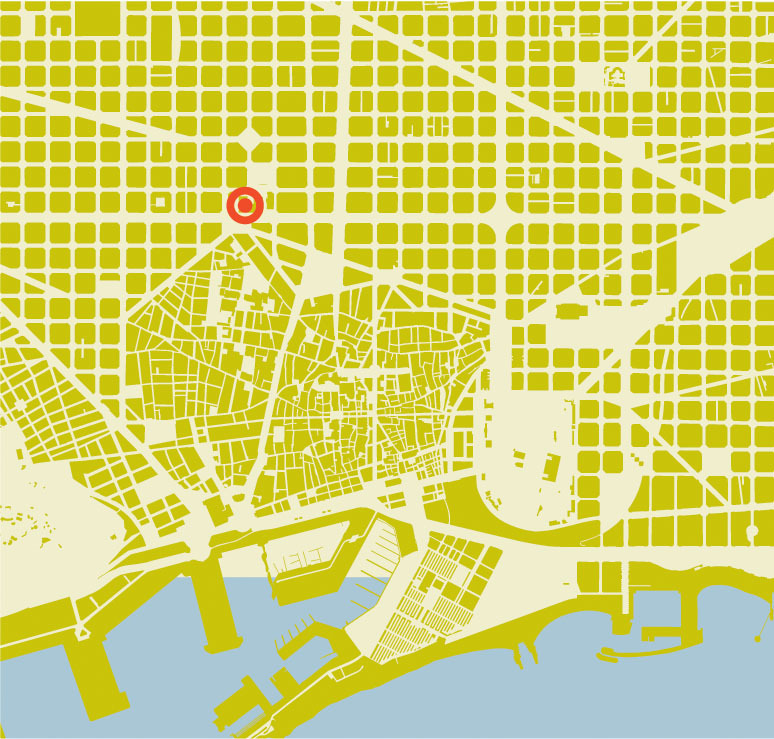 The address is: Gran Via de les Corts Catalanes 585, 08007 Barcelona, Spain. The building is on the square known as Plaça de la Universitat (University square). This square is served by buses numbers 9, 14, 16, 17, 24, 41, 50, 54, 55, 56, 58, 59, 63, 64, 66, 67, 68, 91, 94 and 95, and by underground lines 1 and 2 (lines 3 and 4 have slightly less close stops). Click here for a bird's eye view of its location inside the city, and click here for a detailed interactive map. The lecture rooms were on the ground floor of the building. A nearby computer room with internet access was at the disposal of all participants. Barcelona is a rather expensive city. This is especially true of hotel rooms in the centre, near the venue of the meeting. We advised everyone to book flights and hotels as early as possible. We offered two accommodation options for participants. Our travel agency offered a limited numbers of rooms in some selected hotels at special prices. 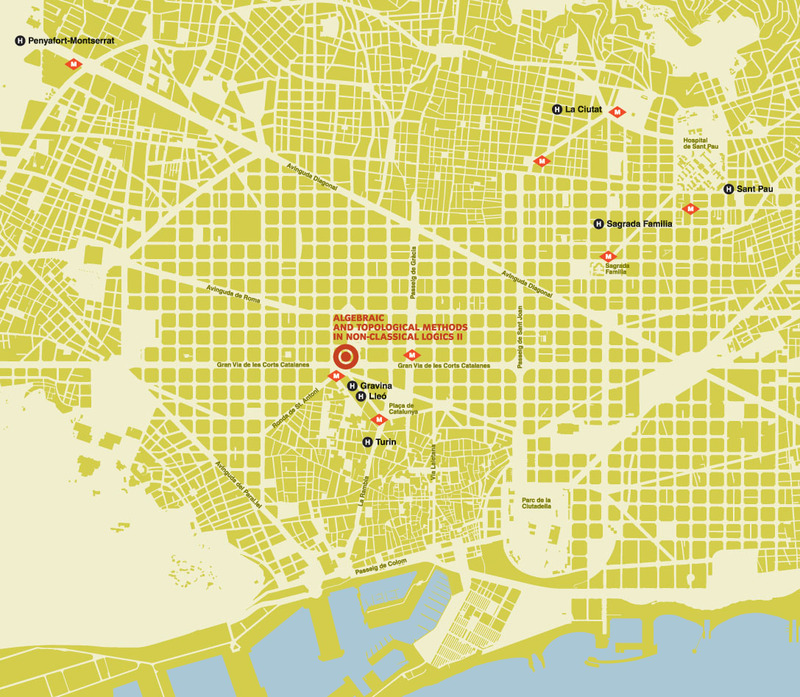 Hotel Lleó and Hotel Gravina were closest to the congress venue, while Hotel Sagrada Familia and Hotel Sant Pau were cheaper. A small number of rooms in student residences (Penyafort-Montserrat and La Ciutat) were also reserved. The reservations for these rooms were handled directly by the organizers. All the hotels and residences were within easy reach of the congress venue, either on foot or by public transport (underground or bus). This map shows the location of the hotels and the nearest underground stations, marked . An informal welcome reception took place on Tuesday 14th, at 19:00, in the hall called "Paraninf" in the university's building. This included a short lecture about the history of the University of Barcelona (which is now celebrating its 555 aniversary) and about the old university building, and ended with drinks and snacks. A dinner for participants and accompanying persons took place in the restaurant "El Cangrejo Loco", located in the Olympic Port, in the evening of Saturday, June 18th. The price of the ticket was 30 euro for registered participants, and 40 euro for accompanying persons. This dinner was attended by 81 persons. 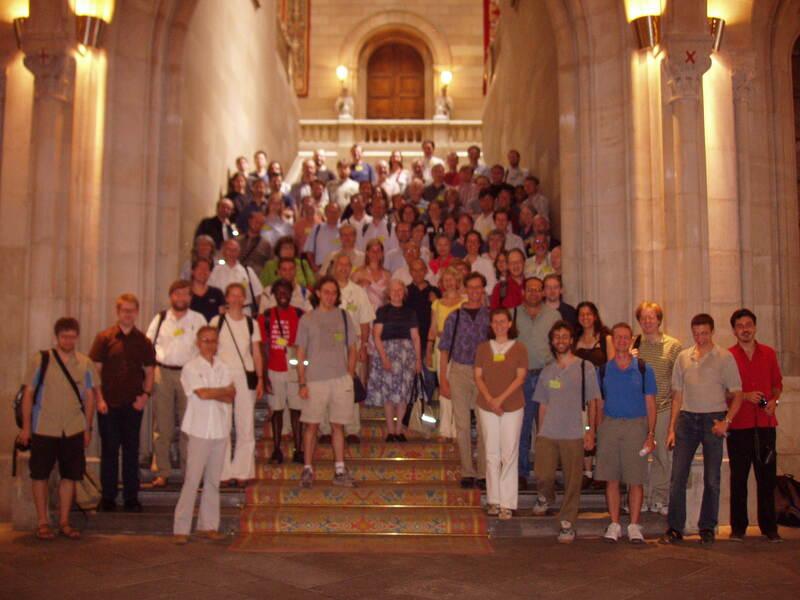 Here are some pictures of most of the participants: in the patio and in the stairs (sorry, out of focus!). You can write to mathlog@ub.edu for more information about the meeting. Here you can see and print the entire second announcement.